Vermont is home to some of America’s finest artisanal distilleries, proudly producing small batch spirits the Vermont way…hand-crafted, locally sourced and top quality. Now, you can enjoy all of the state's spirits as you sip your way through our statewide tasting tour. Traverse the majestic Green Mountain State with stops along the way at each of our member’s distilleries. Sample local flavors as you observe the fermentation and distillation processes and visit the tastingrooms to discover what makes each spirit unique. As you visit each member’s distillery, you’ll get a stamp on your tasting tour passport. Get a stamp from each member distillery and we’ll send you a “I conquered the Tasting Tour” t-shirt -- Simply mail us your completed passport. 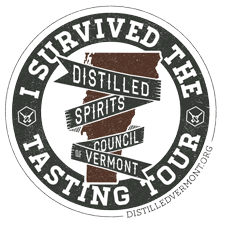 Vermont Distillers, Inc. is a new start-up distillmery founded in 2010. 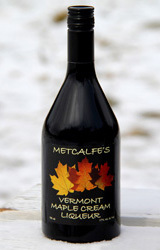 Our goal is to produce premium Vermont made beverages using primarily Vermont grown products.